You are here: Home / Blog / Blog / The Best Website for Alzheimer’s Caregivers! If you’re one of the thousands of visitors that return to our site week after week, you may have noticed our website looks a little bit different than it used to! Don’t worry, it still has all the same great content we are famous for – it’s just organized differently. We hope you like the new design! If you’ve never been to our Alzheimer’s website before, welcome! We are so happy you found us! We think you will be too. I wanted to let you in on a few secrets about our brand new site. We have organized articles into 5 main sections for you. Each section of the site has multiple articles that were written to help Alzheimer’s caregivers learn about dementia, be better caregivers and lead healthier lives. New articles are being added all the time so check back often or sign up for our newsletter and be alerted when new articles have been posted. Activities – Learn why activity needs to be an integral part of your care and how appropriate activities for your loved one with Alzheimer’s will make both of you happier (making your job easier and more enjoyable). Alternative Therapy We hope that one day soon there will be a cure for Alzheimer’s. In the meantime, alternative therapies (which we define as things outside of drugs and the medical world) are working wonders. Poke around this section and learn about different kinds of non-medical therapies that are helping people with Alzheimer’s all over the world. For Caregivers Advice and tips for the Alzheimer’s caregiver. Articles and personal stories in this section focus on how to better communicate and care for someone with Alzheimer’s or dementia. If you would like to share your story on our site, get feedback and help other caregiver’s worldwide, please share your story here. Alzheimer’s Disease Increase your understanding of what Alzheimer’s is, learn about the different stages and how they affect the person in your care. Blog The blog is new to our website and is filled with helpful caregiving tips and inspiring stories from around the world. Check out this amazing story from the Netherlands. It’s a place to share your story, your comments and get feedback. If you want to contribute a story to our blog please contact us here. At the bottom of each page you are able to write your own comments. You don’t need to be logged in to do this. Since we just launched this feature with the new site, there aren’t many comments yet. Please use the comment section to ask questions, share stories and your opinions on subject matters discussed on this site. Connecting with other caregiver’s is not only therapeutic but can open up new ideas and help everyone in his or her role as an Alzheimer’s caregiver. We are also working on starting a forum so you can ask and answer questions as you please. Learning through other people’s experiences, both good and bad, is very helpful when you’re learning to take on a new role in your life as the caregiver for a loved one with Alzheimer’s. If you have a story to share, no matter how big or small, please contact us. We would love to get your story out there to help the millions of people who are learning their new roles as an Alzheimer’s caregiver. If you are an expert in a subject matter, if you are a professional caregiver or any type of therapist (music, art, psychological), we would love to share your knowledge and your stories with our audience. Please read our guidelines on guest writing for Best Alzheimer’s Products. On the bottom of all pages you will notice this our “Sharing is Caring!” buttons. When you read an article that you think will help someone else, please share it. It’s always great to know what your friends and family have found helpful. It’s especially helpful if you may not have the time to do the research yourself. The BEST website for Alzheimer’s Caregivers? We think so. And so do a lot of our readers. However, even though we have great articles on alternative therapies and an unmatched line of games and activities for Alzheimer’s, we know that there are other helpful resources out there. 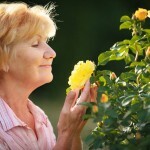 My favorite blog to read is the Alzheimer’s Reading Room. Started by Bob DeMarco, you can find countless stories about caregiving and learn a lot from his, and others, personal experiences. If you need a support group, search here for one in your area. For a larger list of additional resources, please visit our Alzheimer’s Caregiver Resources. We want to write about the things that matter most to you! Put your questions and concerns in the comment section below. Guest Writer’s Guildelines and Policies Stop Calling them Alzheimer’s Patient!